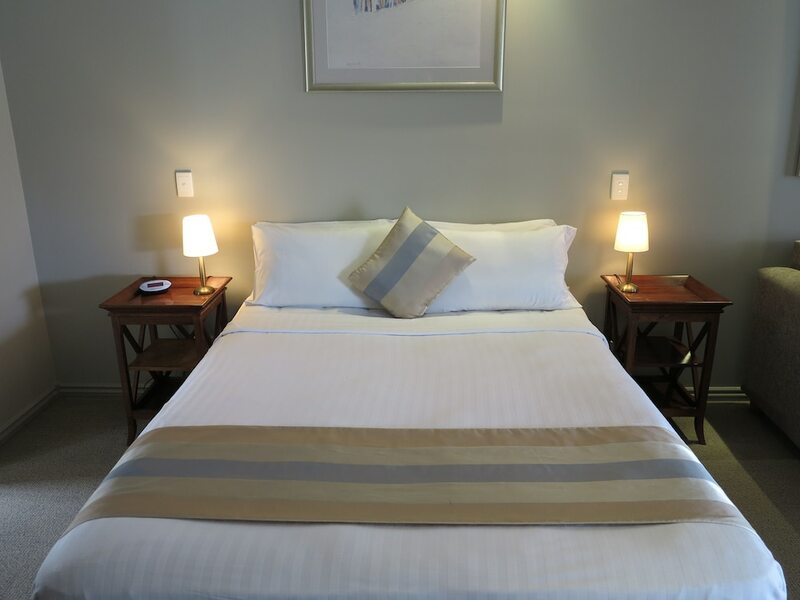 Located in Wynnum West, Shangri-La Gardens is connected to the convention center, within a 10-minute drive of Manly Boat Harbour and Manly Harbour Village. This 4-star motel is 7.4 mi (11.9 km) from Portside Wharf and 7.8 mi (12.6 km) from Brisbane Cruise Terminal. Make yourself at home in one of the 41 air-conditioned rooms featuring refrigerators and flat-screen televisions. Your pillowtop bed comes with Egyptian cotton sheets, and all rooms are furnished with single sofa beds. Complimentary wired and wireless Internet access is available. Private bathrooms have complimentary toiletries and hair dryers. Take advantage of recreation opportunities such as an outdoor pool or take in the view from a terrace and a garden. This motel also features complimentary wireless Internet access, wedding services, and a television in a common area. Enjoy a satisfying meal at Sylvia's Restaurant serving guests of Shangri-La Gardens. Quench your thirst with your favorite drink at the bar/lounge. Cooked-to-order breakfasts are served on weekdays from 6:30 AM to 8:30 AM for a fee. The motel offers a restaurant. A bar/lounge is on site where guests can unwind with a drink. This 4-star property offers access to a business center and limo/town car service. A computer station is located on site and wireless Internet access is complimentary. This business-friendly motel also offers an outdoor pool, a terrace, and tour/ticket assistance. Onsite self parking is complimentary. Shangri-La Gardens has designated areas for smoking. Cooked-to-order breakfasts are available for a surcharge between 6:30 AM and 8:30 AM on weekdays. Sylvia's Restaurant - This restaurant specializes in international cuisine and serves breakfast and dinner. Guests can enjoy drinks at the bar. Reservations are required. Open select days. Sylvia's Wine Bar - Onsite wine bar. Open daily. Reception hours are 8 AM - 12 noon on Sundays. For more details, please contact the property using the information on the reservation confirmation received after booking. A surcharge applies for the use of the sofa bed. For more details, please contact the property using the information on the reservation confirmation received after booking. Pool access available from 6 AM to 9:30 PM.Only registered guests are allowed in the guestrooms. The property has connecting/adjoining rooms, which are subject to availability and can be requested by contacting the property using the number on the booking confirmation.